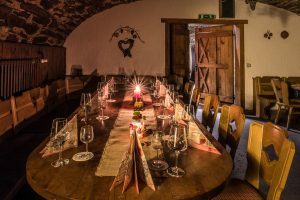 Our historic vaulted cellar not only offers our products the optimal storage for maturation, but also invites one to enjoy the wines during meals with its rustic ambiance. 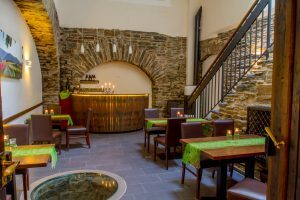 A wine-tasting will become an unforgettable experience in this unique atmosphere for all occasions–regardless of whether it is a framework programme for a conference, association, company or family excursion. the Ahr Valley in a cosy atmosphere. Learn from a winegrower everything Worth knowing all around the subject Wine. Hike through the vineyards with one of our winegrowers. 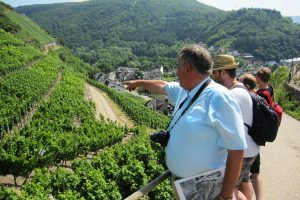 We would be glad to also give you a guided tour through the Ahrweiler vineyards as well as through our small viniculture museum or organise our daily programmes for you. We would be glad to advise you at +49 (0) 2641/34376. 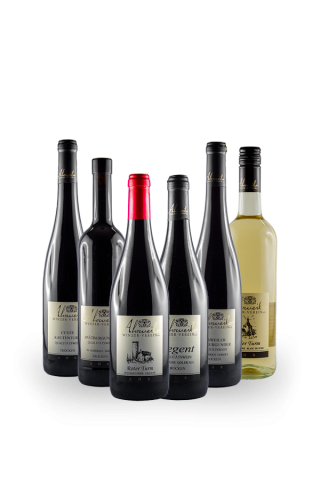 You can download the current wine-tasting flyer in PDF format here quickly and conveniently. 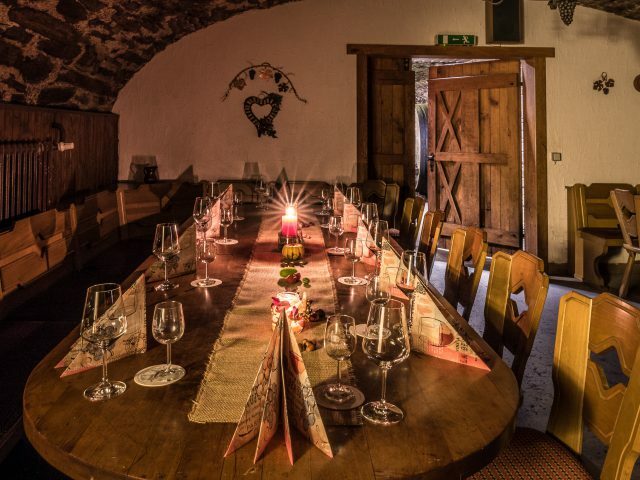 With our classical wine-tasting, you will experience the wines of the Ahr Valley in a cosy atmosphere. 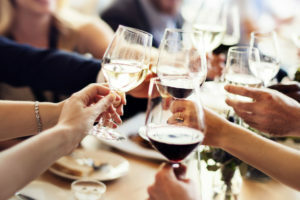 We would also be glad to organise theme-based wine-tasting events such as, for example, “Cheese and Wine” or wine seminars (respectively with a minimum of 30 persons.) 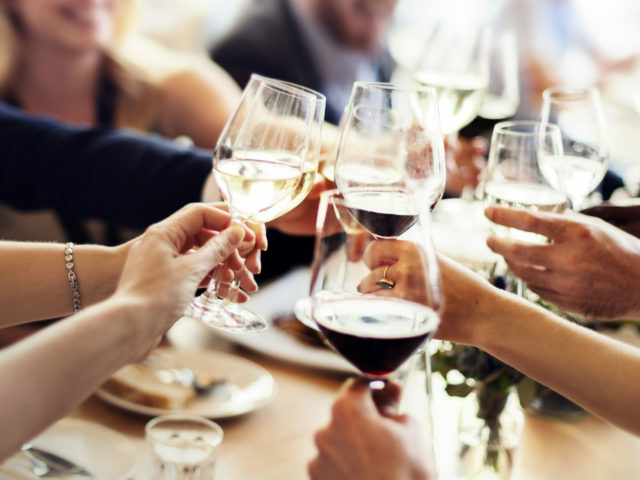 Set up your individual wine-tasting event based upon the group size and your wishes. From April to October, we will offer a wine-tasting event with four wines with a guided tour of the cellar every Wednesday and Friday at 3:00 p.m. This is a good opportunity for individual visitors and small groups to familiarise themselves with our wines. From 01 November to the 4th weekend of Advent, we will always still be offering this guided tour only on Fridays at 3:00 p.m. Experience a day at the winegrower’s and learn exciting things about the occupation of winegrower and viniculture. During the tour, you will be able to try out some outstanding droplets and regional delights in the rustic and cosy ambiance of our cooperative. 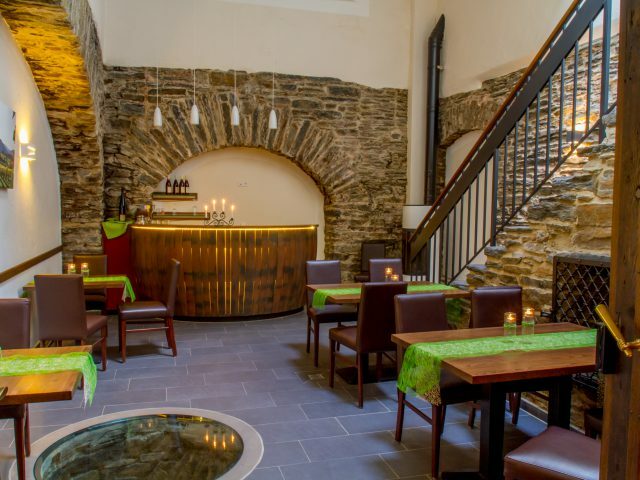 38,– € per person for groups of at least 15 persos Beginning at 2 p.m. Enjoy the beauty of the vineyards during a guided tour with one of our winegrowers in which you try out five different wines from impressive lookout points. 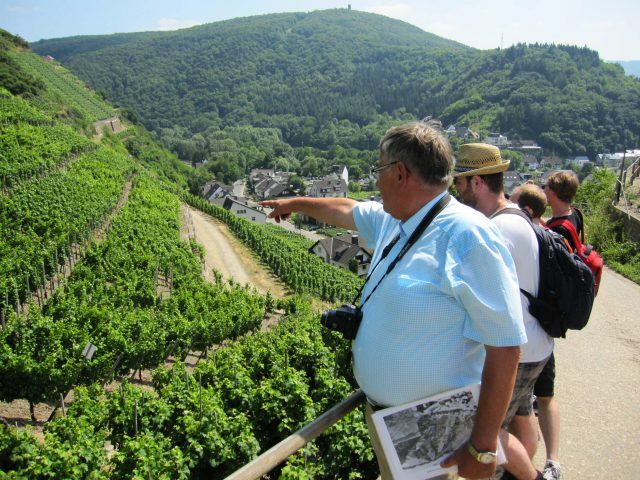 Our “hiking wine-tasting tour” will lead us from Dernau through the vineyards to the historic cellar of the Ahrweiler Winzer-Verein where you will be awaited at the end by quite special droplets.